Since October 2017, General Motors has launched three new EV cars -- the Buick Velite 6 EV, Baojun E200 and Cadillac CT6 Plug-In -- for China. The US auto major General Motors Co plans to launch over 20 new all-electric cars globally by 2023, majorly focussing on the Asian countries like China. 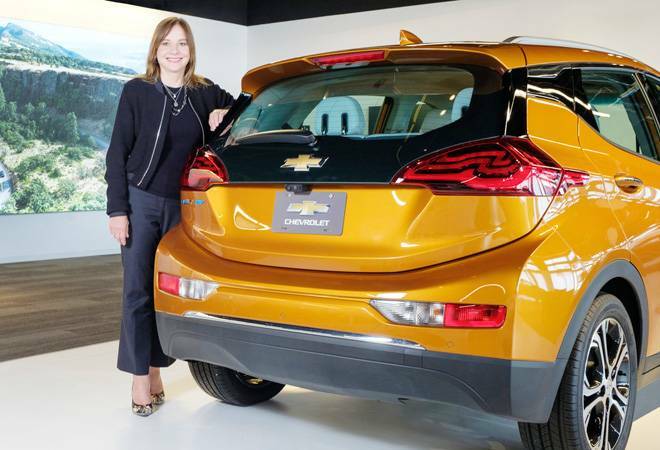 Though the company has recently faced some roadblocks in China, Mary Barra, Chairman and Chief Executive Officer of GM, says China is the world's largest EV market and will be a large driver of global EV adoption for the company. The company is aiming to launch 10 new electric vehicles in China by 2020. Last week, the Wall Street Journal had reported that GM was facing a major problem with Chinese-made batteries as they had failed to meet the company's performance and safety criteria. The report said GM had planned to enter production in September on its hybrid Buick Velite 6, whose complete electric version was planned for the launch in 2019 but things had gone south after the issue with the Chinese batteries. Since October 2017, General Motors has launched three new EV cars -- the Buick Velite 6 EV, Baojun E200 and Cadillac CT6 Plug-In -- for China. Barra said to support the production increase, a new LG Electronics facility in Hazel Park, Michigan, would start making battery packs soon to supply the company's Orion Assembly Plant, also in Michigan. "We'll deliver a prototype vehicle capable of a 180-mile range with less than 10 minutes of charging to Delta Electronics for official testing as part of a new US Department of Energy initiative," said Barra, adding that creating a world of zero crashes, zero emissions and zero congestion won't happen overnight but GM's journey to this future was underway. "We're now able to complete nearly all battery testing under one roof, reducing development time and cost. The significant expansion of this lab, already one of the largest in the world, brings the facility to more than 100,000 sq ft and includes new heavy and mild battery abuse test areas," she said. Royal Enfield feud: Why Classic 500 Pegasus owners are furious over Classic 350 Signals?